ProPERLA wall coatings have been rigorously tested and certified by the UKAS accredited testing laboratory, Lucideon (No. 0013), to give you peace of mind. Lucideon is an independent materials testing and analysis laboratory. Using their state-of-the-art facilities and scientific expertise, Lucideon can thoroughly test product performance and provide impartial results. ProPERLA wall coatings have been tested for durability, thermal insulating properties, breathability and water repellency. Germany is known for its innovation, performance technologies and high quality products. proPERLA® is a leader in facade coatings. Engineered to improve surface to resist weather influences caused by rain, frost and sun. Dirt particles are unable to gain a hold on facades coated with proPERLA®, they simply flow off with rainfall. The facade remains clean and attractive. Even on sides which are particularly exposed to the weather like the north-facing side or facades in shade, as well as in areas with high air humidity or with sea salt penetrated air. How does the proPERLA® system works? For a brick wall the process is slightly different. It is cleaned mechanically in advance with high pressure. Lichens, moss and algae need to be completely removed. Once the wall is dry defective mortar joints and loose bricks need to be repaired accordingly. 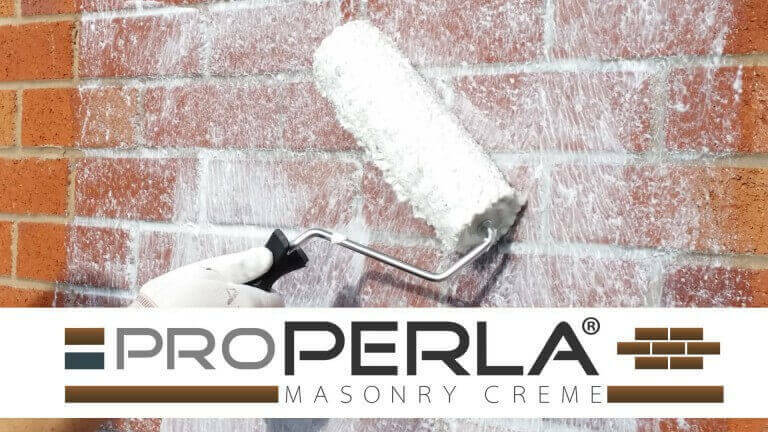 The masonry is ready to be treated with proPERLA® MASONRY CREME. The result will be impressive and the treatment will protect your masonry for more than 20 years. If water has access to the house interior through small cracks in the wall, inside temperature falls and ideal conditions for long-term moisture problems and a deterioration in the quality of living in your property are given. At a temperature of about 4° Celsius, water begins to expand slightly, until it freezes. Frozen water expands its size by 9%. You may probably aware of what happens at that moment in untreated walls. Once penetrating water reaches the core of a wall insulation, the thermal resistance is reduced by up to 50%. Your heating costs rise and humidity makes itself visible in form of mold growth. Both older and new facades, treated with proPERLA®, prevent properties of such problems. In other words – the less moisture building fabric, the more energy can be saved! It is much easier to prevent moisture than to cure it. It has been developed particularly for skilled users. Thanks to microFORMULA® technology, your facade will have water-repellent properties and will be fully protected for more than 10 years. Due to its unique properties it will be self-cleaning like a lotus leaf, allowing the treated surface to breath naturally. 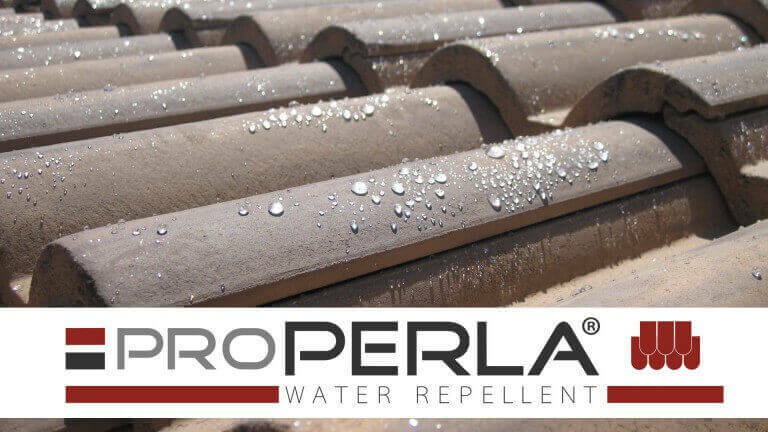 A proPERLA® treatment ensures a healthy living environment, free from moisture and presence of mold. A treated facade is UV resistant and the color stability remains unchanged for many years. Due to the breathability of proPERLA® Facade Coating, water vapor produced in the interior of the property can easily flow outside through the wall. This process is known as water vapor permeability and is very important for a comfortable living environment. Protect your home against weathering for more than 10 years. Our you team is at your disposal. proPERLA® – Combine elegant aesthetics with high performance! This is due to its self cleaning properties. Rain droplets clean this plant due to its water repellent microstructure. We have combined all our knowledge with the latest technology to achieve the same effect with proPERLA® Facade Coating. Facades treated with proPERLA® are self-cleaning like a lotus leaf. Also in this case this is due to its water repellent properties. In other terms, your facade treated with proPERLA® super hydrophobic exterior coatings will be free of maintenance for more than 10 years. proPERLA® Facade Coating has super hydrophobic capabilities. Mold, lichens and other microorganisms will not be able to gain a hold on the façade. Your facade will remain dry and moisture is not able to ingress. the cavity wall insulation will remain effective because it will stay dry. The masonry surface will not age as quickly as an untreated surface. 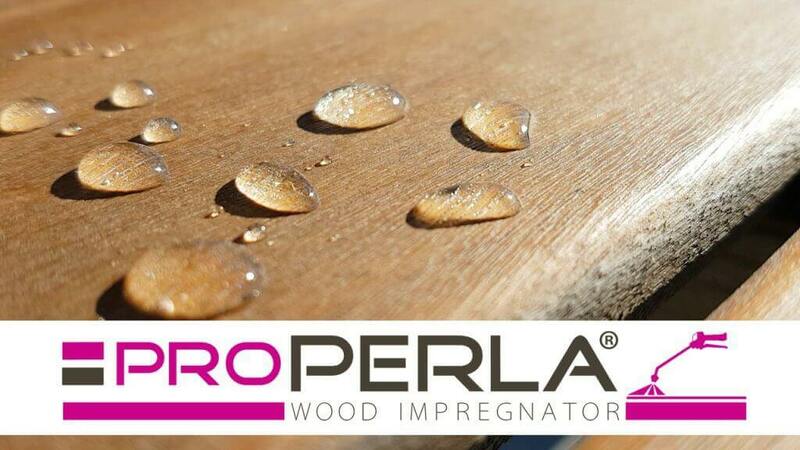 proPERLA® creates a super hydrophobic surface. The facade remains dry and moisture cannot penetrate through the wall into the insulation of your home. It is a very important aspect especially if the house has cavity wall insulation installed. Due to its water repellent property, facades treated with proPERLA® are self-cleaning as a lotus leaf. The beading effect – also known as the lotus effect – is appreciated immediately during rainy weather. Dirt, moss, algae and lichens are not able to gain a hold on the surface and are easily washed off when it rains. The façade remains in perfect condition for many years. 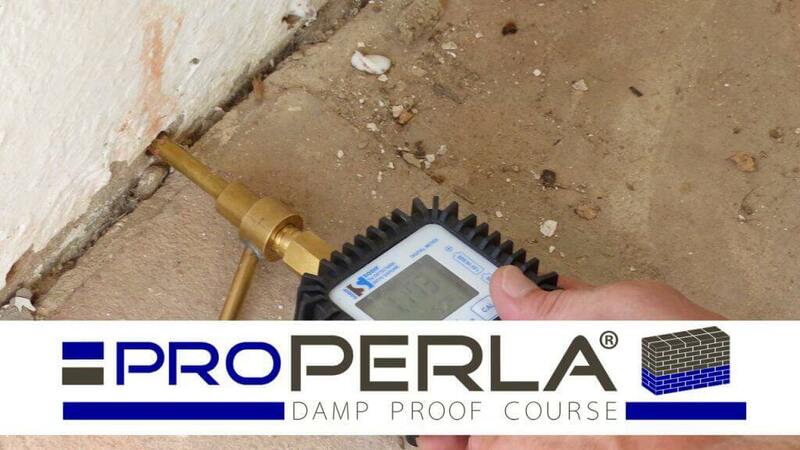 The proPERLA® formula guarantees natural breathing facades, masonries and roofs. Moisture is easily allowed to flow outside. 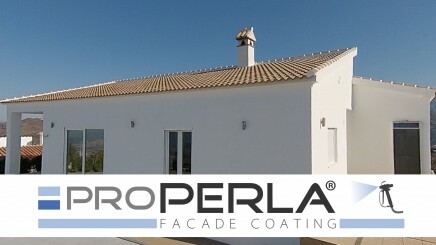 proPERLA® Facade Coatings are micro-porous and have been developed with a unique silicone resin formula that restructures the pores to block moisture. Moisture is prevented but the wall remains breathable at all times. 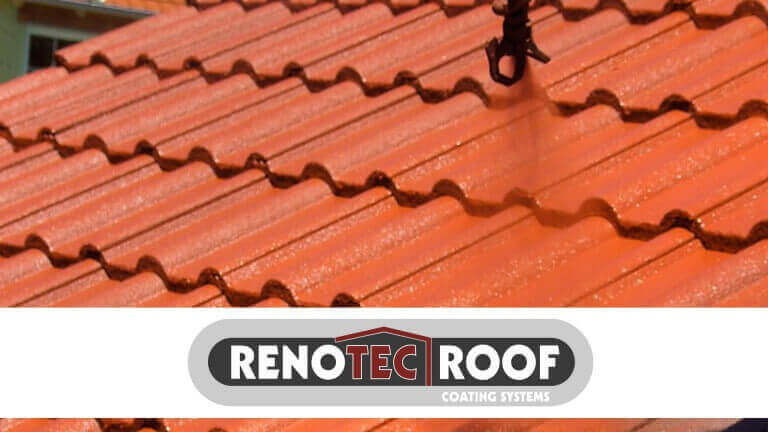 Our super hydrophobic coatings have especially been designed for the insulation of facades, brickworks and mineral roof tiles. 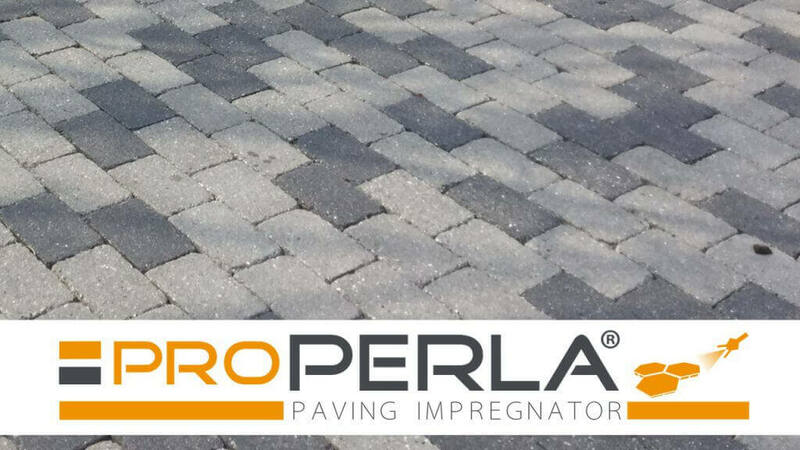 The excellent properties of proPERLA® are appreciated by many specialists, recommending our surface treatments all over Europe. It will give the exterior walls a life span of 10 years. 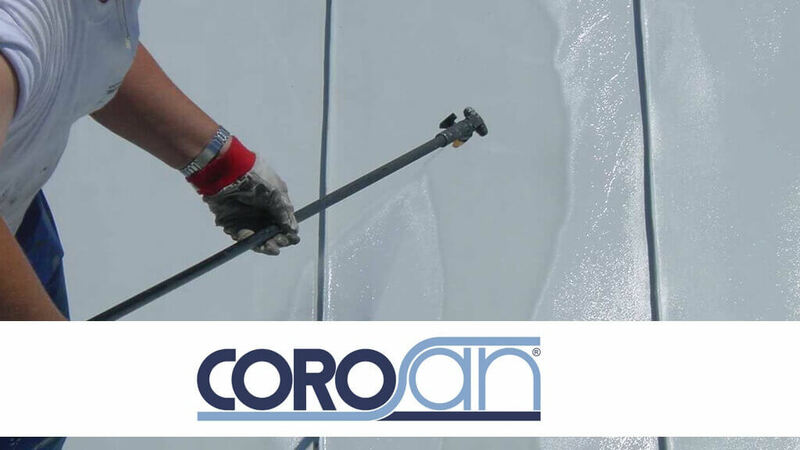 Are you an applicator specializing in cleaning and renovation of facades, masonry or roofs? We would be pleased to provide you with our versatile marketing tools for impressive client demonstrations. This consists of brochures, door hangers, movies, demo bags and much more. Become an official proPERLA®-Partner and enjoy many advantages that are waiting for you. Contact our team either through our contact form or by phone. We are at your entire disposal and would like to bring you closer to our marketing concept to achieve a successful relationship.